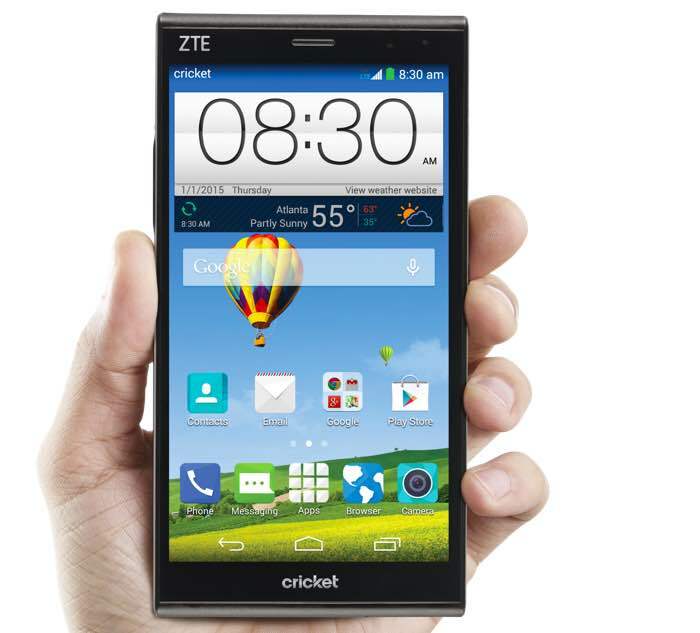 ZTE has announced the launch of a new Phablet at CES, the ZTE Grand X Max+, and the handset will be available exclusively through Cricket Wireless in the U.S. The ZTE Grand X Max+ is equipped with a 6 inch High Definition display with a resolution of 1280 x 720 pixels. The handset is powered by a quad core 1.2GHz Snapdragon 400 processor and it also comes with 2GB of RAM and 16GB of built in storage. The ZTE Grand X Max+ comes with a microSD card slot which offers support for 32GB cards, and the handset features front and rear facing cameras. On the front of the Grand X Max+ is a 5 megapixel camera for video calls and selfies, on the back of the device there is a 13 megapixel camera with an LED flash. The ZTE Grand X Max+ also comes with Dolby Audio and a 3200 mAh battery, it features Qualcomm Quick Charge 1.0 technology which is designed to let you charge the device in less time. The handset will launch on Cricket Wirless on the 9th of January and it will retail for $199 off contract, you can find out more information over at ZTE.